How far would you go for a wedding photo? Why would a young Chinese couple pay $1,900 to stand around in the freezing rain in London? Sara Yue and Cole Bai, both 24, have the answer. They wanted the perfect backdrop for their pre-wedding photographs, and traveled thousands of miles to pose in front of London's landmarks. "London is our favorite place," said Bai, waiting patiently in the cold and wet as rush hour traffic rumbled past Westminster Abbey. "We love it. Big Ben, the London Eye are the best places. In the top of the London Eye we can have a wish for our wedding and a wish for our future." Yue and Bai said they saved hard to pay for the trip from Lanzhou, northern China, and the shoot with photographer Ray Wu, director of JR Studio. They were up before dawn to dress in wedding attire and be ready for a make-up artist to arrive at their hotel. 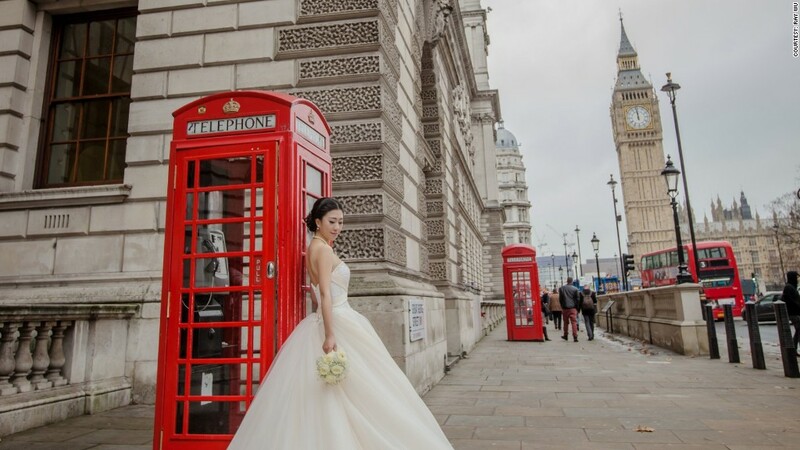 London has become an increasingly popular destination for pre-wedding photos. Wu's business has doubled over the past few years, and he now photographs about 100 couples a year -- half from overseas. Most of the visitors are from east Asia, and demand from China is growing, Wu said. They're drawn by the romance of the historical landmarks and grand royal wedding venues. Some, like Yue and Bai, have their own memories of the city. Related: Are these the world's weirdest wedding photos? Bai is an electrical engineer and Yue works for a company that makes industrial machinery. 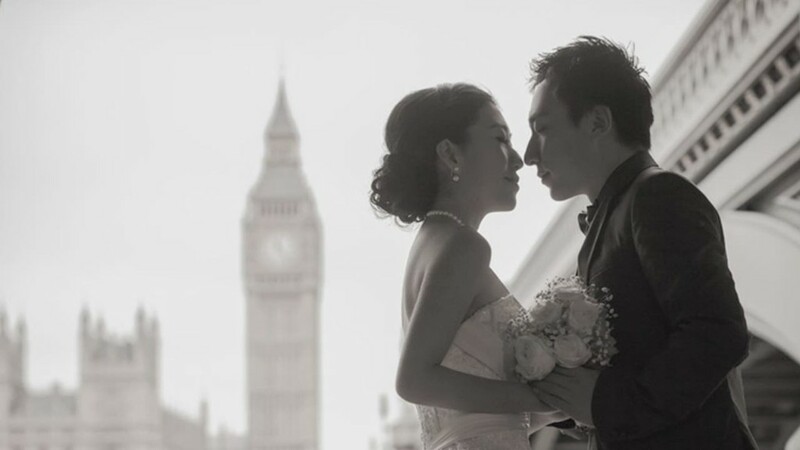 They met in China, but wanted their photos taken in England to remind them of the time they spent studying there. The photos will be used on wedding invitations, cards and perhaps in a slide show. Couples are often keen to get the shoot out of the way before the day, when they have other duties to perform. And they get the chance to edit the shots carefully -- Yue and Bai's shoot was 10 months before their wedding day.